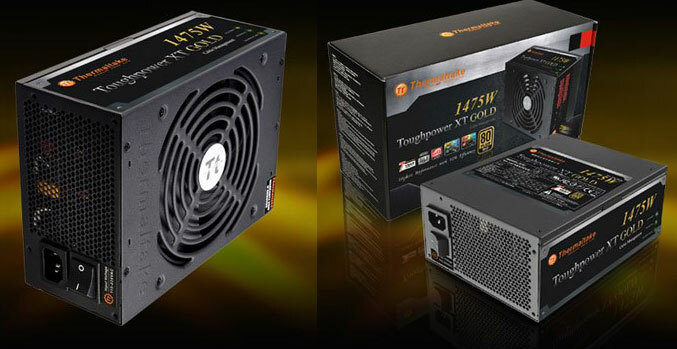 Thermaltake has added three new models to its Toughpower XT power supplies line, specially developed for users who need a high-output power supply units for their power-hungry custom machines. The new offering includes the 80Plus Platinum rated 1275W model and Gold Plus rated 1375W and 1475W Gold models which can perform up to 94% power efficiency. 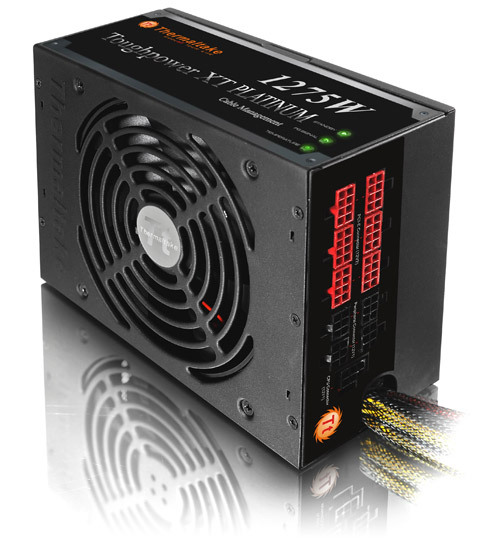 The power supplies feature modularized full cable management, have compliance with Intel ATX 12V 2.3 & SSI EPS 12V 2.92 standards, Full Bridge & LLC resonance circuit with DC-DC module for “extremely stable performance and reliability” and an interleaved PFC circuit. They are equipped with 105°C Japanese electrolytic and solid capacitors, dual 12V rails, 3-mode LED -indicators that shows PSU status (Standby/ Power good signal/ Temperature) and 14cm dual ball bearing fan with Smart Fan Control system that automatically detects the PSU ambient temperature and adjusts fan mode & speed for optimal thermal performance. 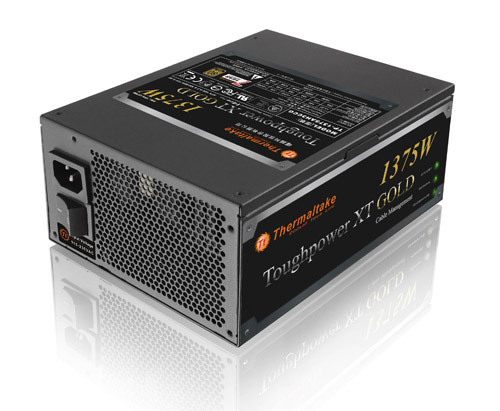 The new Toughpower XT PSUs come with a seven-year warranty, but prices and availability have yet to be announced.